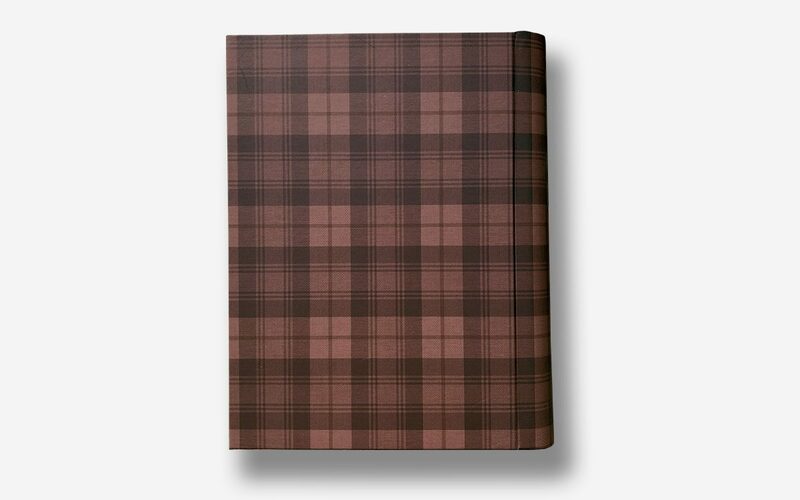 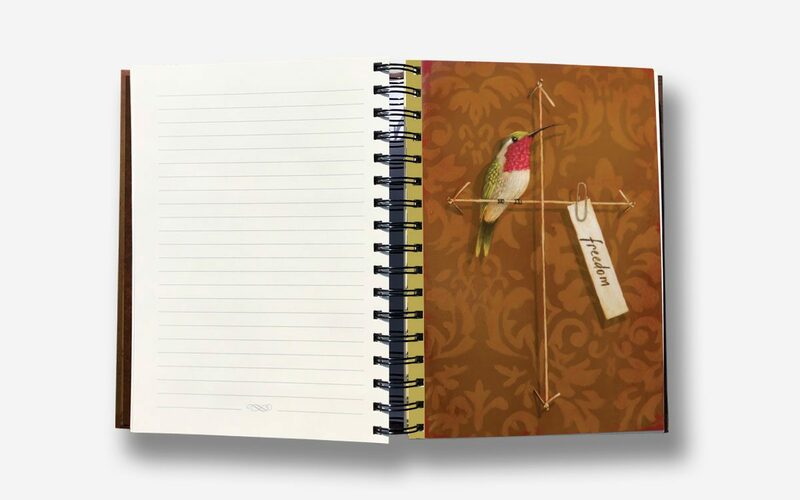 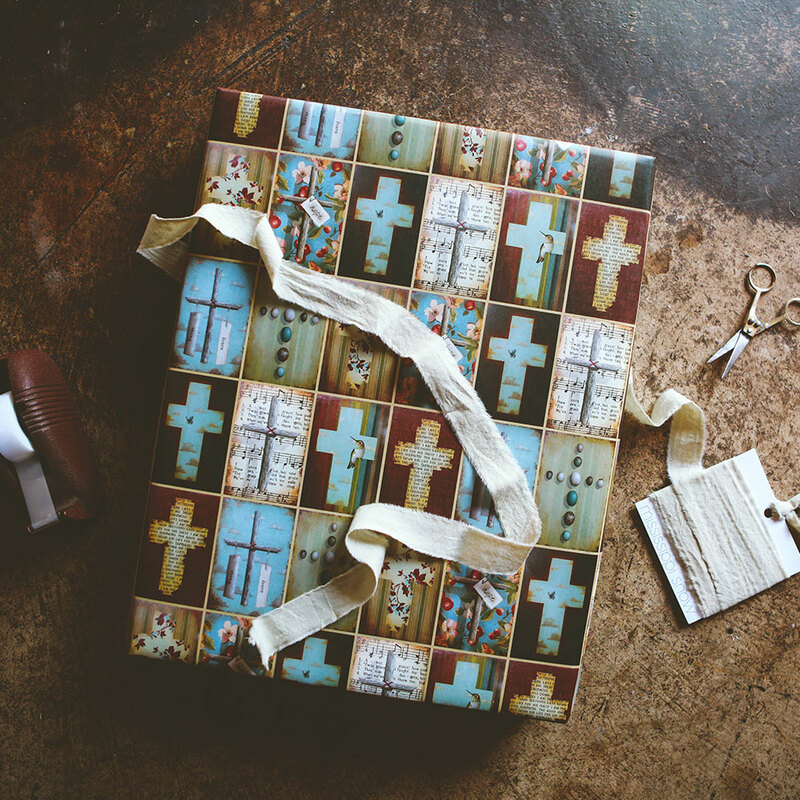 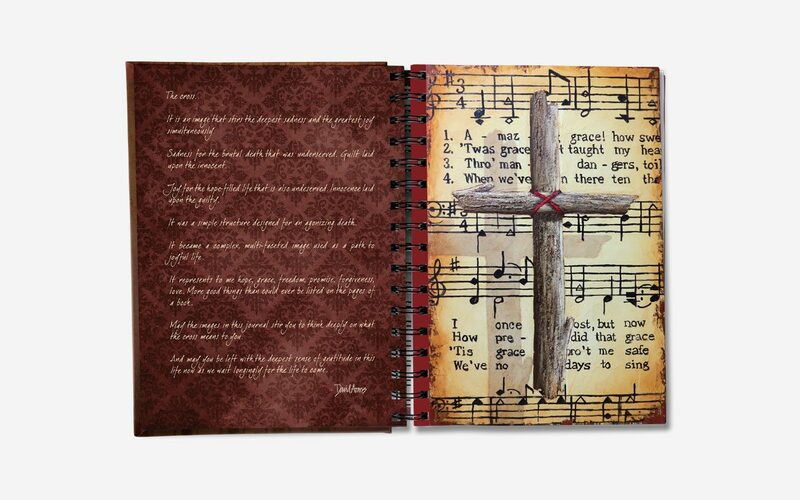 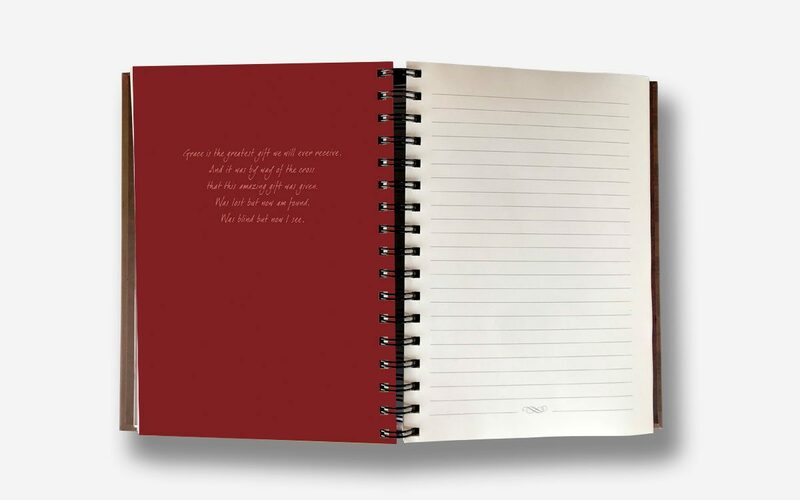 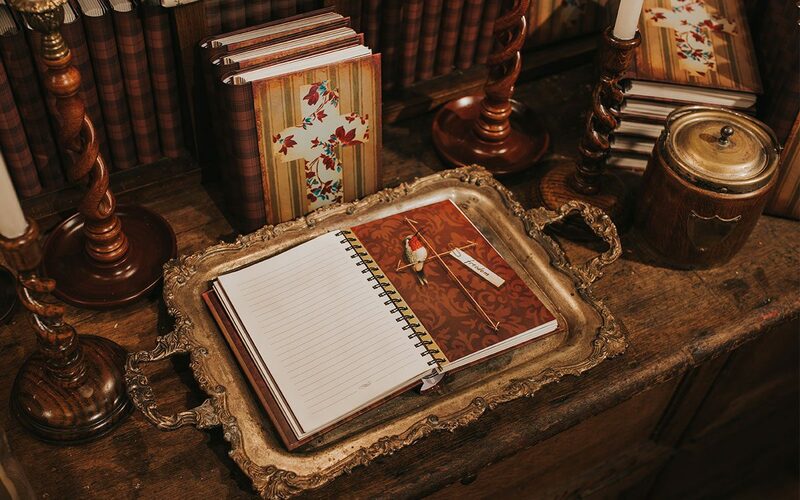 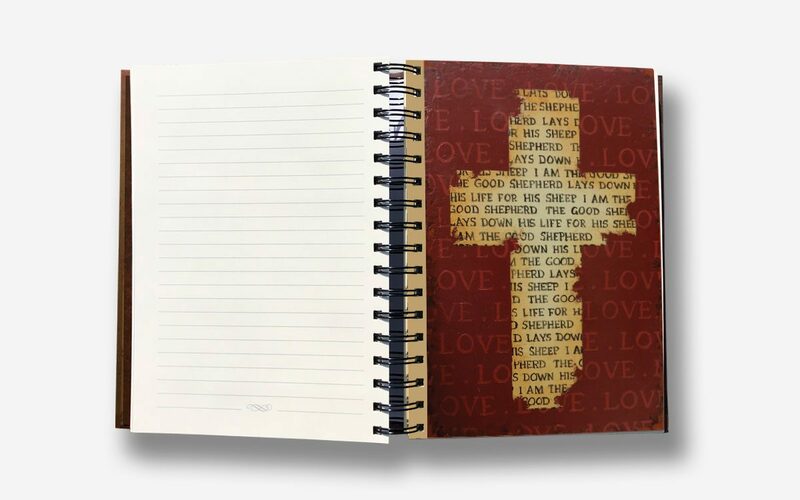 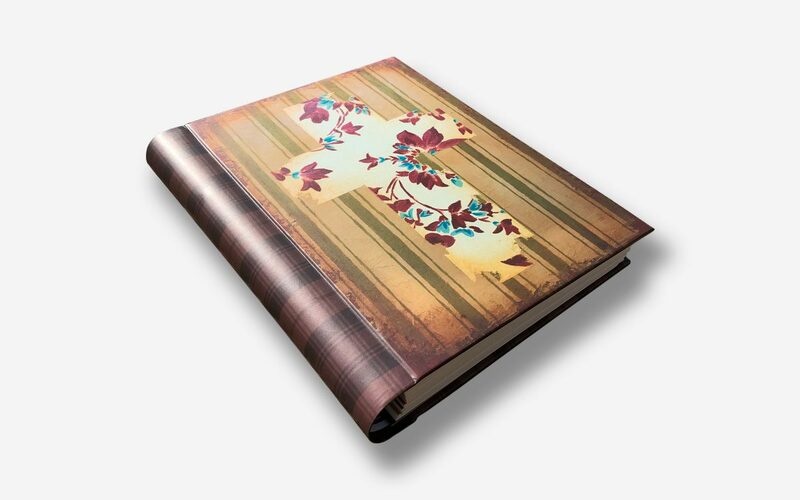 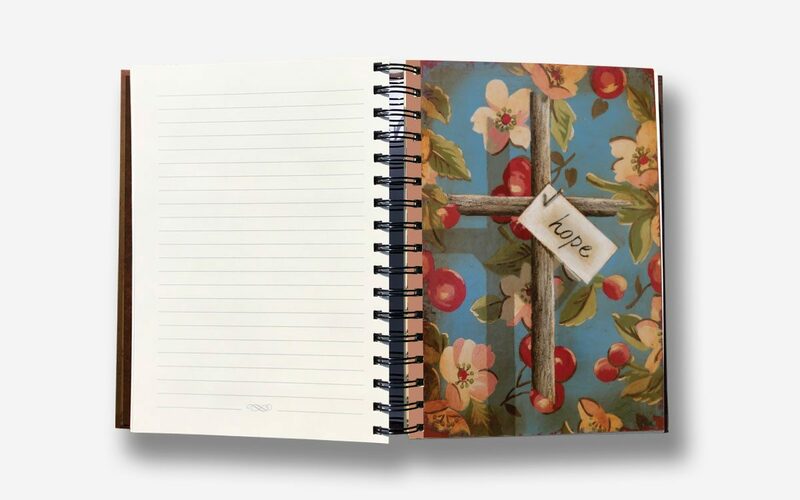 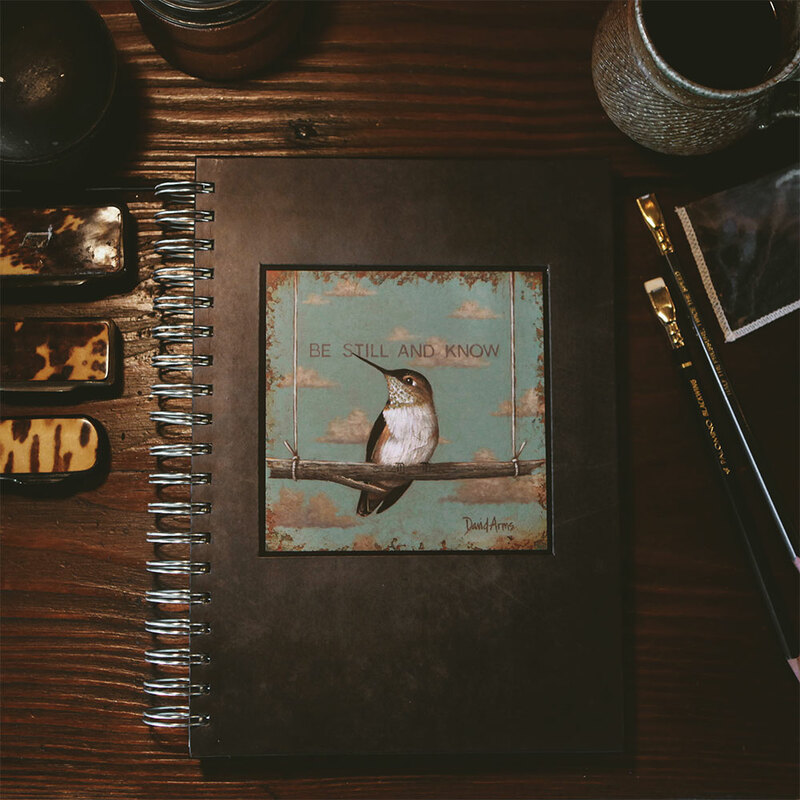 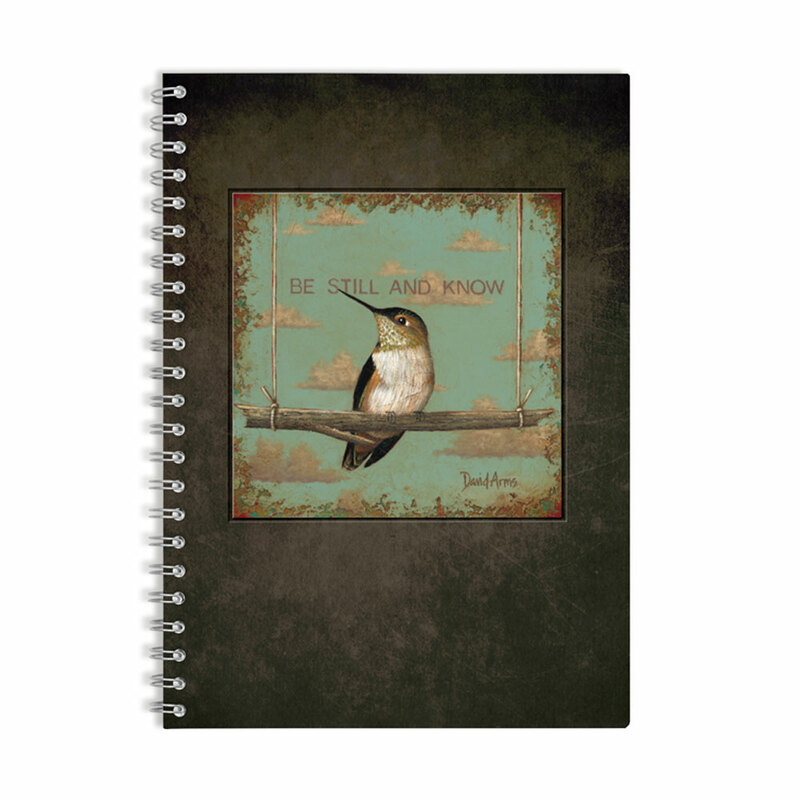 Spiral-Bound Journal with 100 lined pages and 8 different crosses with wording on back. Heavy Cover. 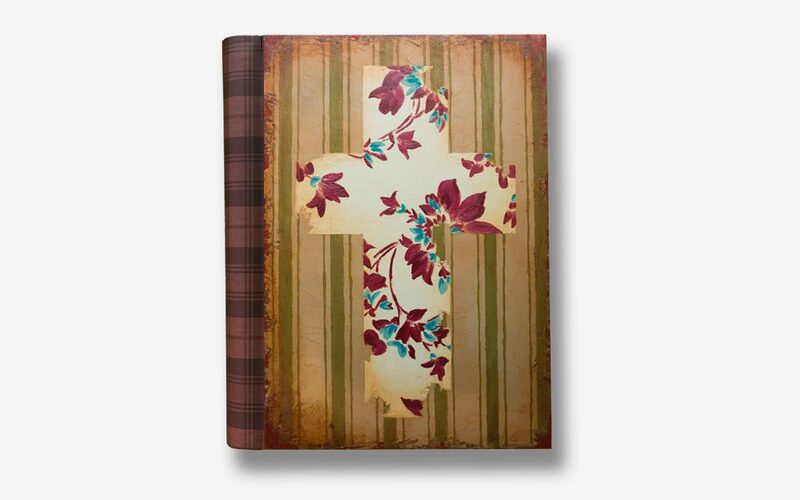 Size: 7×10. 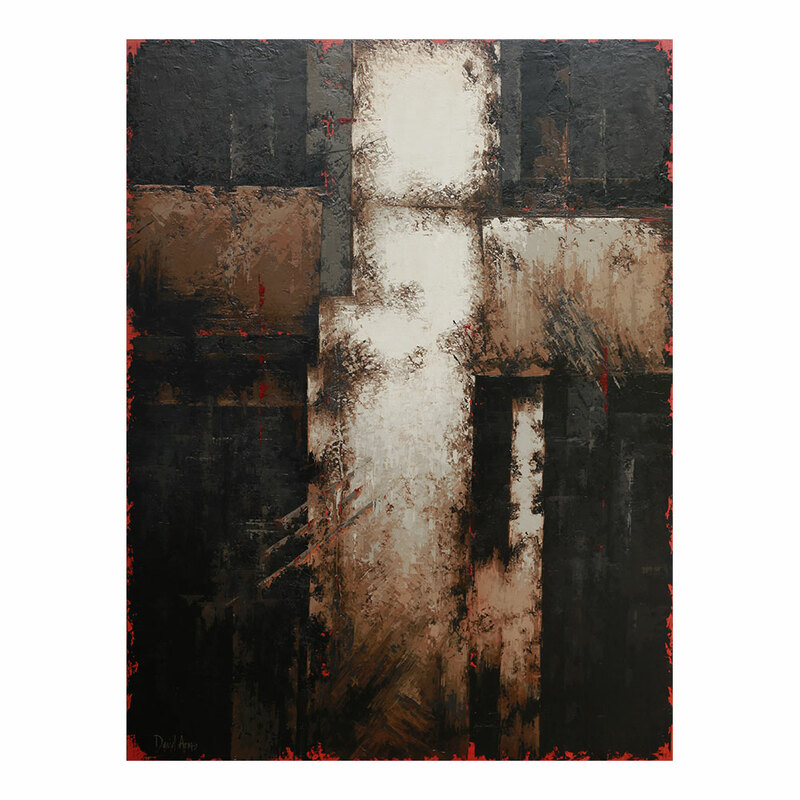 The cross is the most meaningful image I know. 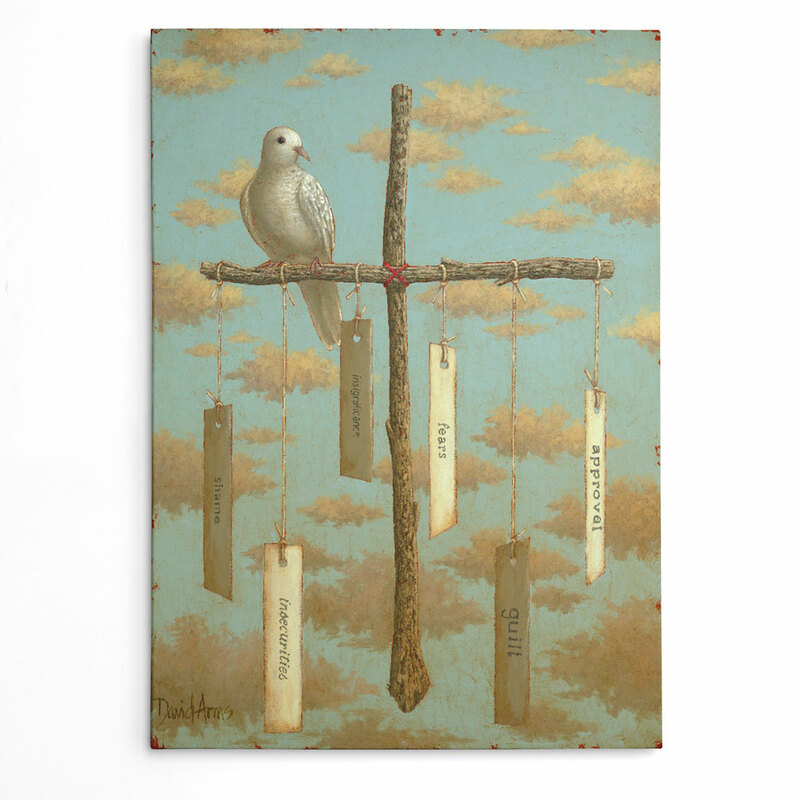 It reminds me of my helplessness and my hopefulness. 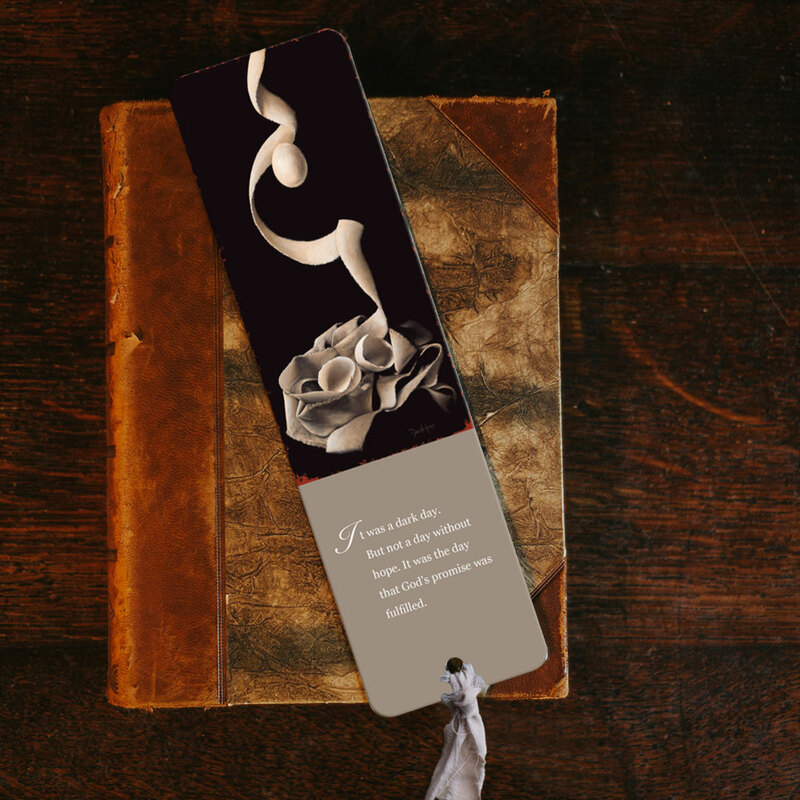 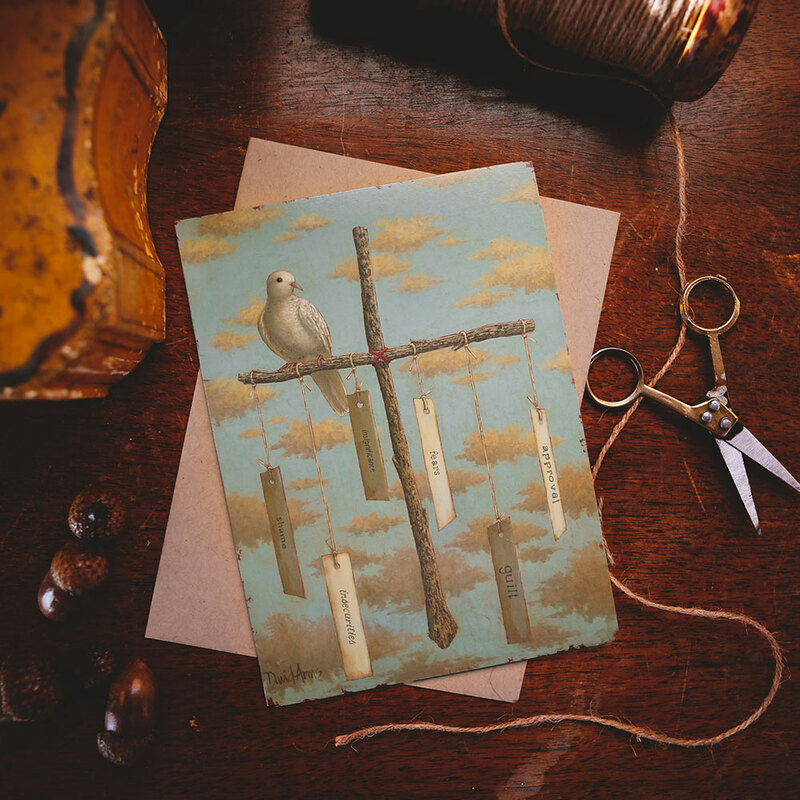 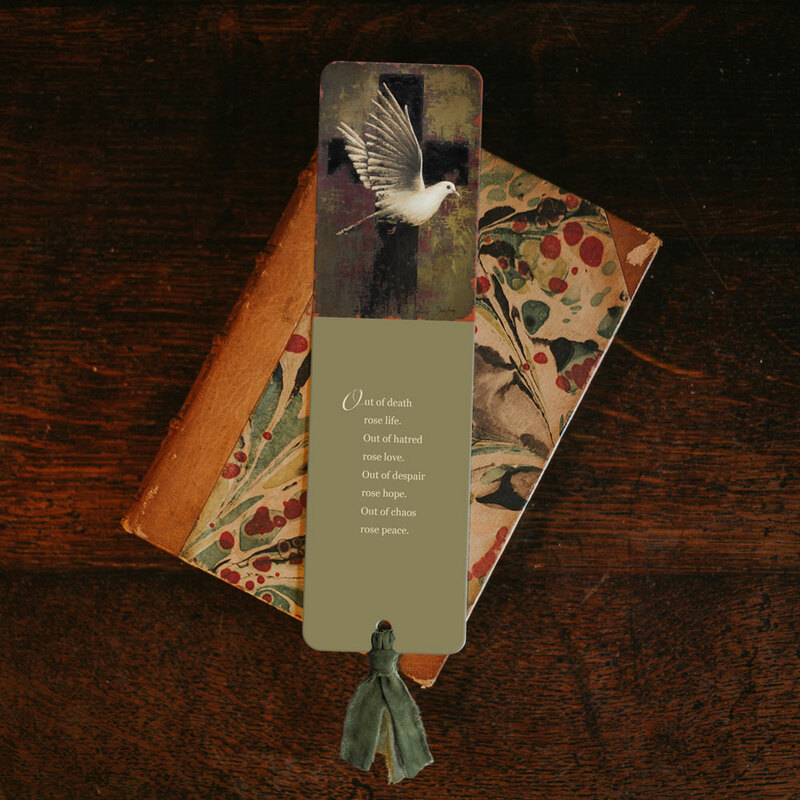 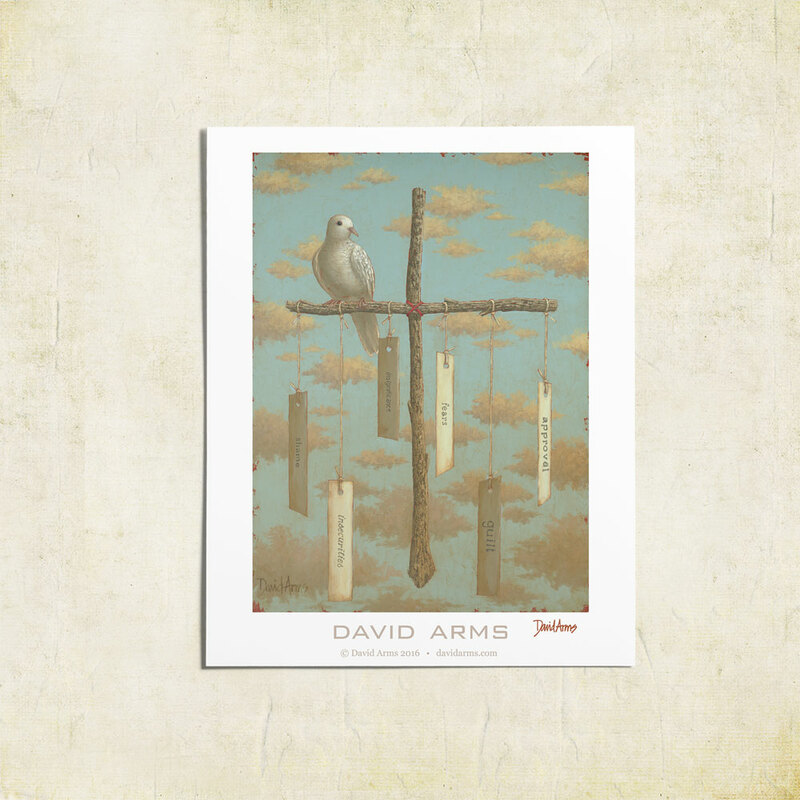 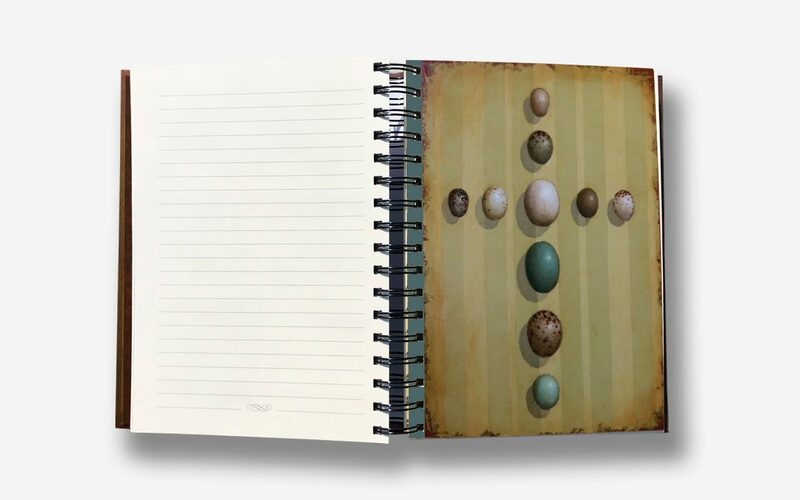 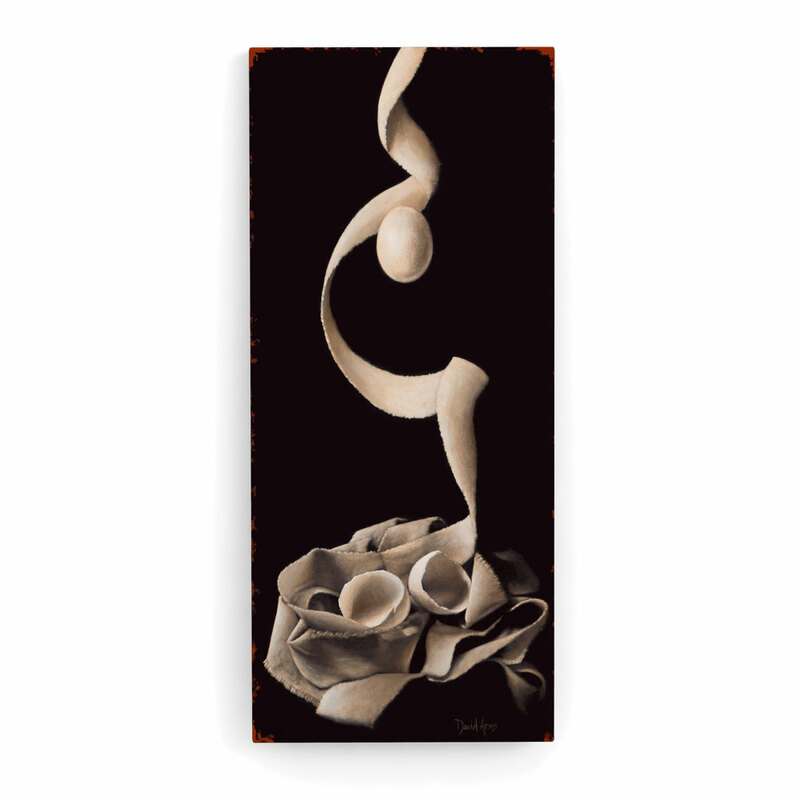 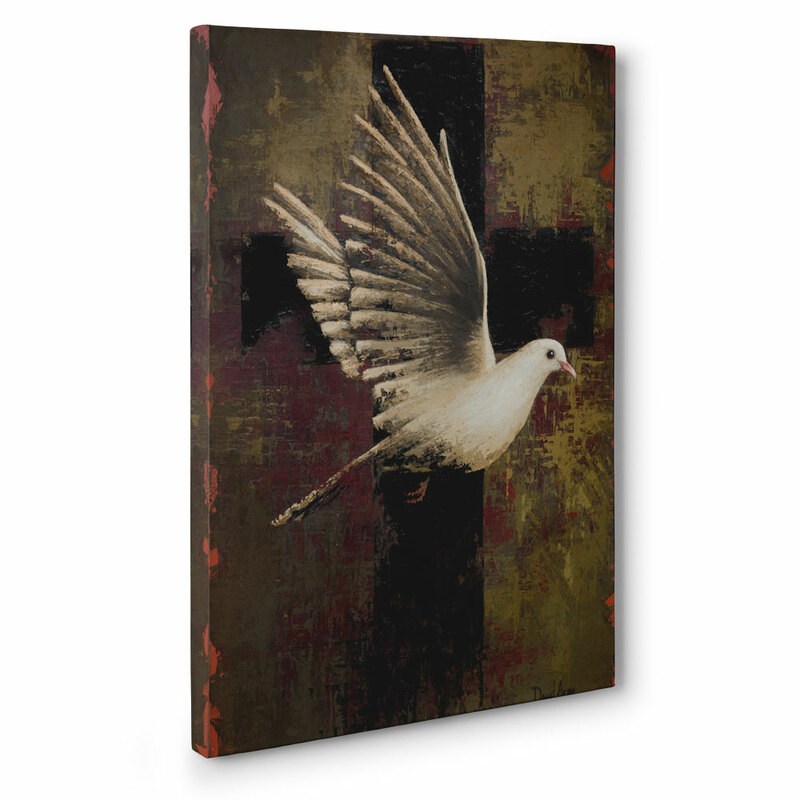 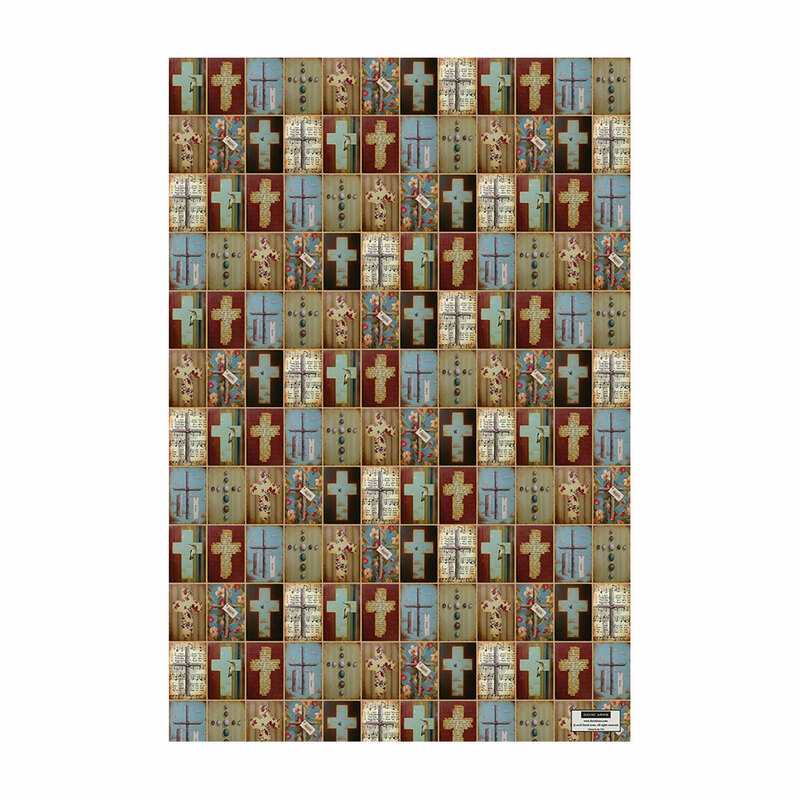 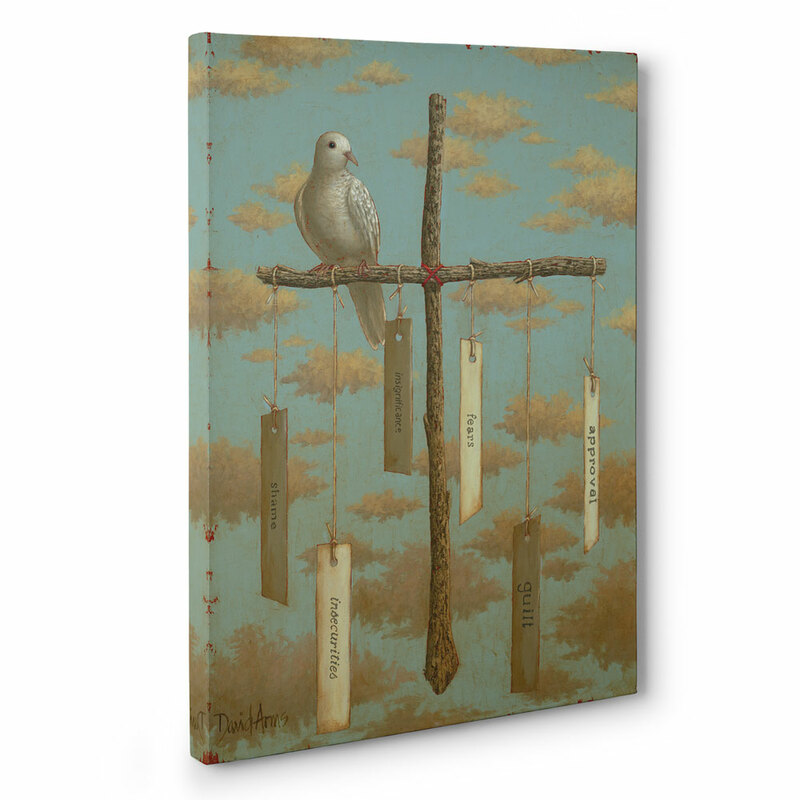 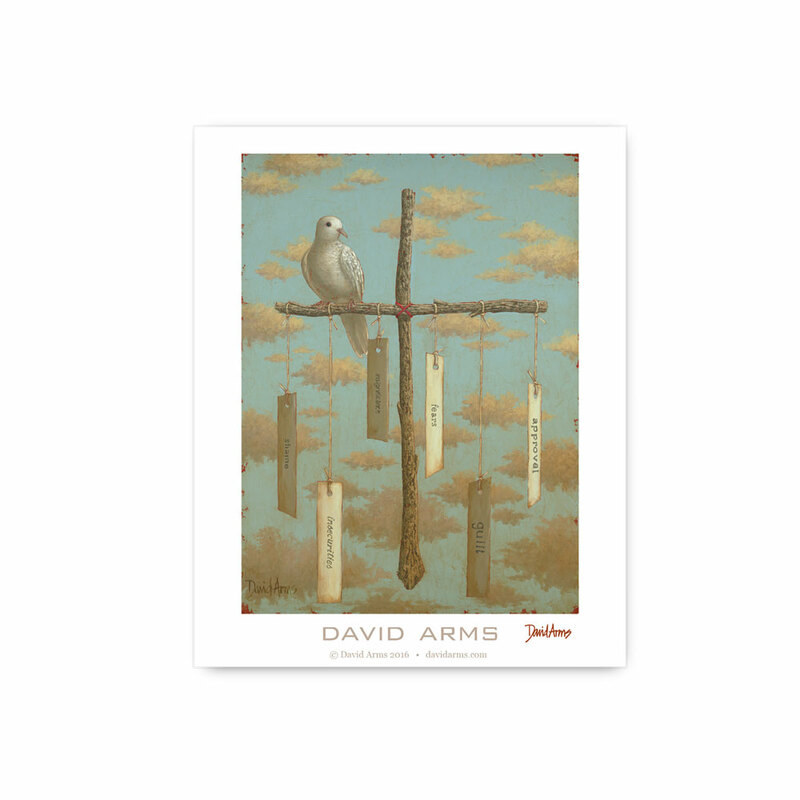 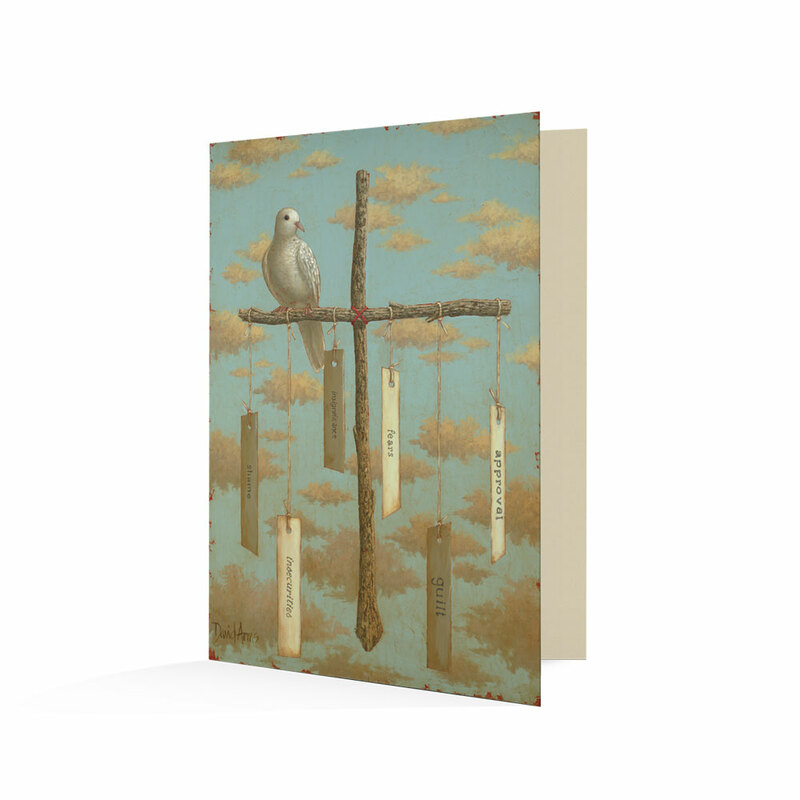 I am so pleased to offer my newest journal which contains a series of nine cross paintings I did to portray the different ways it speaks to me. 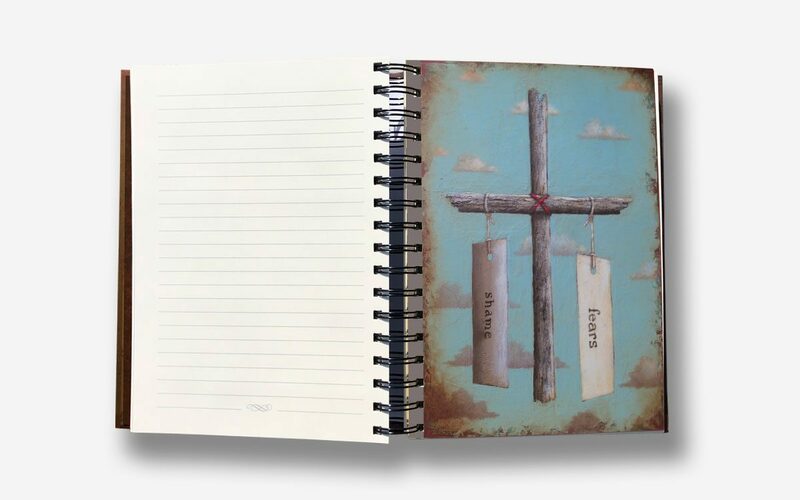 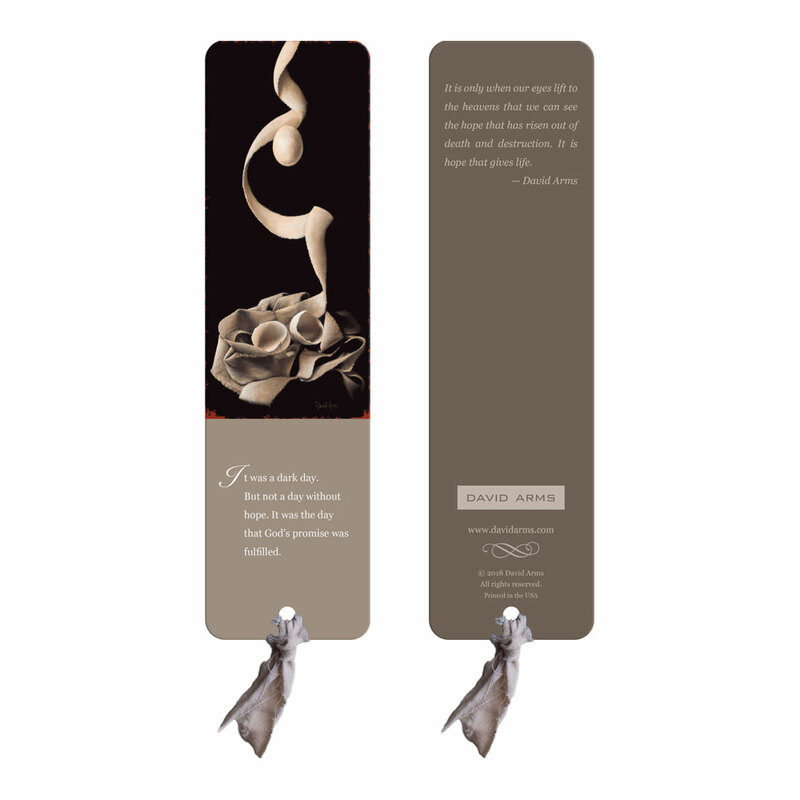 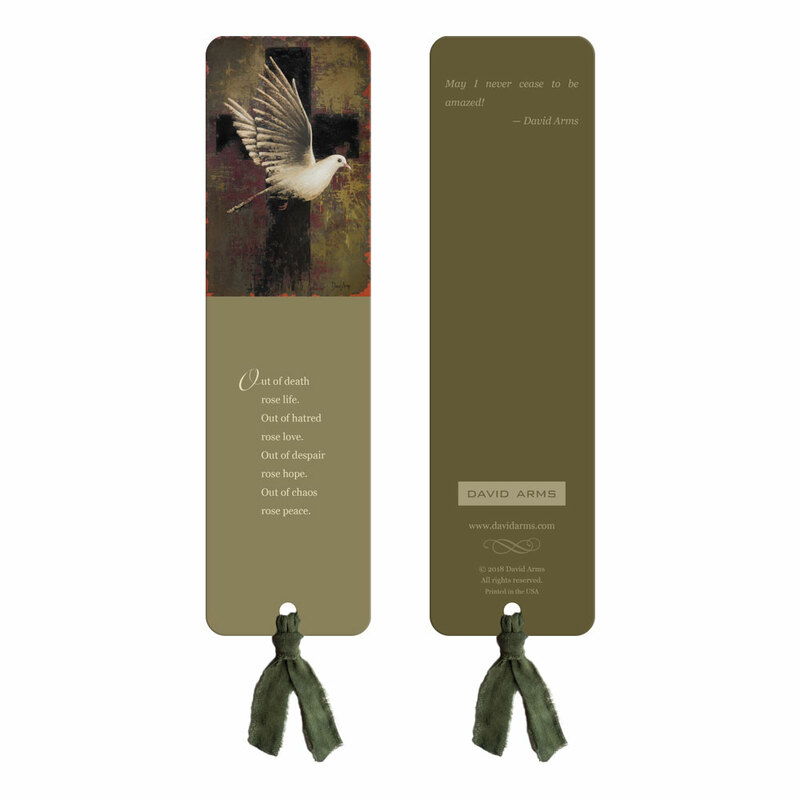 On the back of each one are my words pertaining to that particular cross. 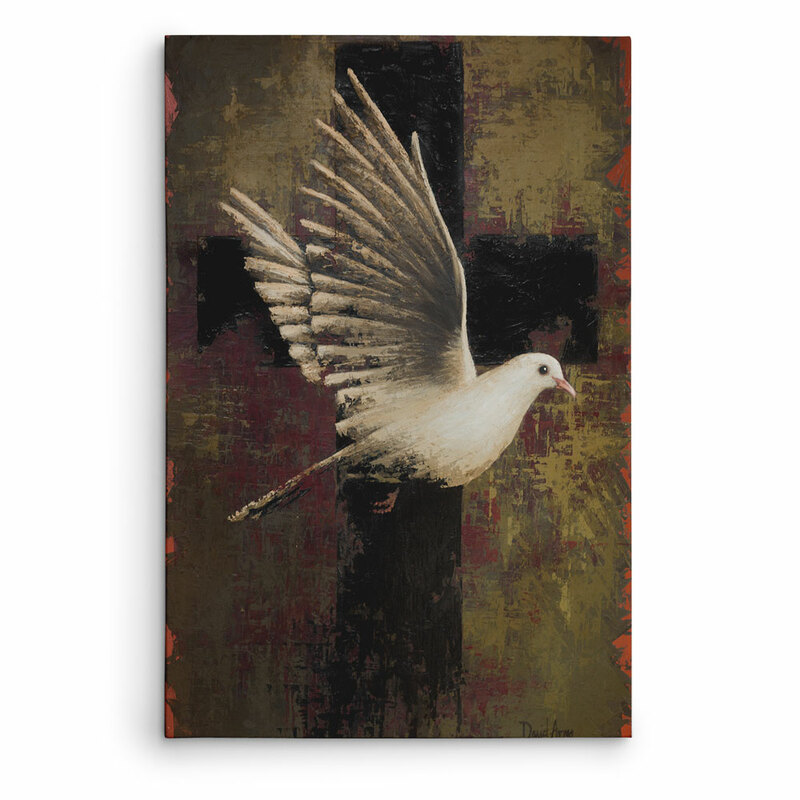 I hope this can be a continual reminder of the grace we did not deserve, but was so freely given.